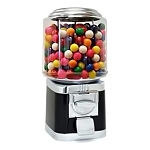 The Beaver Round candy & gumball machine is a classic, low maintenance gumball machine, featuring a solid colored body and die cast metal components that are triple chrome plated. Its dependability, durability and safety features have earned this product a global reputation. 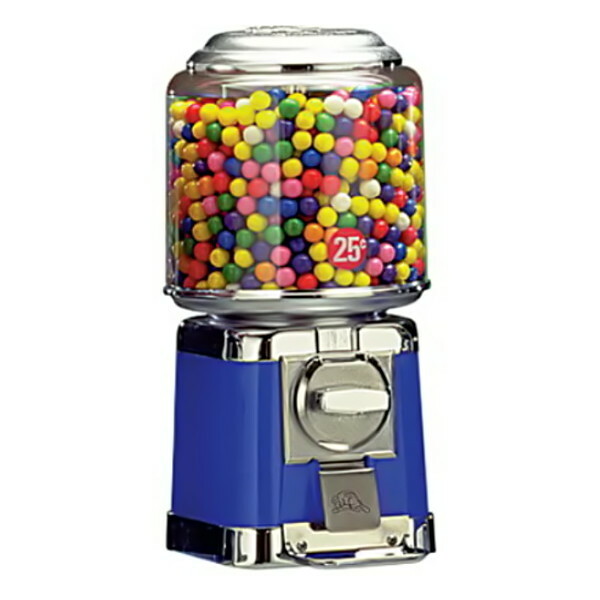 The Round Beaver offers a choice or body colors and dispensing conversions, coin mechanisms, and additional options for convenience and efficiency. The Round Beaver features a triple chrome plated lid, hopper, adapter ring and base. Included on the machine is the Beaver* New Generation 1 coin mechanism, which has set the world standard for rotary coin mechanisms. It incorporates the security of the clutch handle with the ability to measure coins accurately for diameter and thickness, ensuring vends only when the correct denomination of coin is used. Most coins of smaller diameter will pass through to the cash box, freeing you from jams that make it so customers can't purchase your product. Shipping: Delivery to anywhere in the continental U.S. 48 contiguous states. Items being shipped to APO/FPO, Hawaii, Alaska, Puerto Rico, Canada or any other country will incur additional shipping charges. Availability: Usually leaves the warehouse in 5 to 7 business days. Need Help - Feel free to call us or email us anytime. The Professional Vending & Supply Company strives for the continuous improvement in the design and operation of its products. We reserve the right to vary specifications without prior notice. Equipment representations are as accurate as possible and may vary slightly. In some cases, graphics may not be exactly as shown. 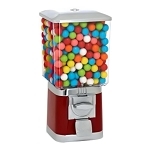 Upon purchase of any product on this website the purchaser agrees to the terms and policies of Professional Vending & Supply. • Shipping Weight: 9 lbs. 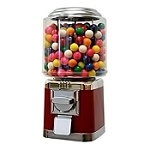 Warranty covers candy, gumball, toy capsule machines, spiral gumball machines, bounce ball machines or any mechanical machine vending candy, gumballs, toys, bounce balls and stickers. The machine Manufacturer warrants to the original consumer, buyer/purchaser, that this product shall be free from defects in material and workmanship for a period of one (1) year, 2 years for Beaver Vending Machines, from the date of original purchase. 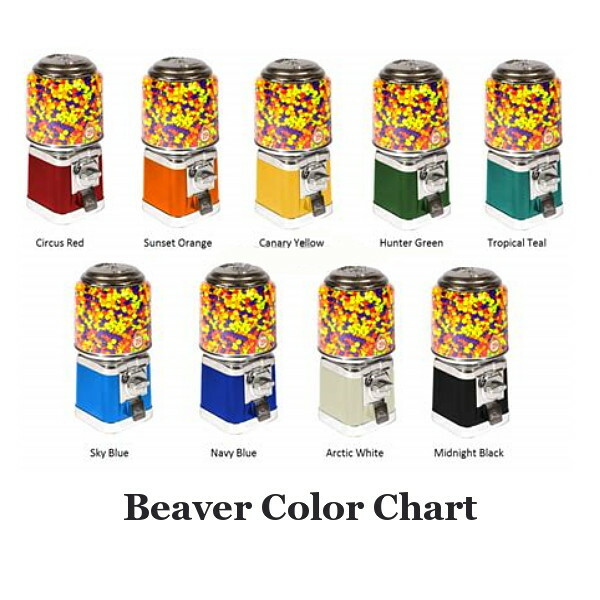 The manufacturer will replace or repair at its discretion any machine deemed defective as a result of normal use for a period of one (1) year, 2 years for Beaver Vending Machines including the coin mechanism. Under this Warranty, any part that is proven to be defective shall be repaired on site if possible or repaired and replaced at the Manufacturer's option their factory, free of charge, provided it is returned prepaid as directed. In the unlikely event that something goes wrong with your vending equipment, you must call the Manufacturer directly or the Professional Vending & Supply Company. It will be determined what is wrong with your machine and you will be instructed as to the best course of action to take to get your machine repaired. If it is something minor the parts will be shipped immediately to you at no cost and you will be instructed as how to make the repair or adjustment. If it is a more serious problem, then at our option, we will either arrange for a technician in your area to fix the machine or if it’s even more serious have you return the machine to the factory for the manufacturers technicians to repair or replace if necessary, provided it is returned prepaid as directed. • Paint chips and/or scratches and viewing glass are not covered by this warranty. • This warranty shall be deemed void if any alterations or unauthorized repairs are made to the machine. • authorized in writing by us prior to the repair. • accident for or use other than its intended purpose. • such as salt-air or ultra violet rays, is not covered by this Warranty. • This Warranty shall not apply to merchandise which is exposed to harsh or acidic cleaning agents or abrasives. • are not covered by this Warranty. • In no case shall liability under this Warranty exceed the original purchase price of the defective merchandise. • Warranty is not transferable. The Manufacturer and/or its agents are not liable for any incidental, consequential and/or other damages of any kind whatsoever, directly or indirectly, arising from the use of the equipment whether based upon theories of contract, negligence or tort. 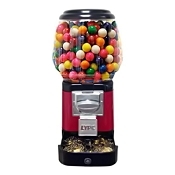 By purchasing a vending machine through Professional Vending & Supply as an authorized representative of the Manufacturer, the purchaser agrees to the terms and conditions above and the terms and policies of the Professional Vending & Supply Company.